H guys, plague, gale and Ryko allowed? Plague allow but gale and ryko is not allow. How do i get in contact with these people? I found randy orton there, he is not in the war list. I really angry now ... until now their member havent join SOMEMORE THEIR ADMIN TOO. I pm him 2 days ago but he din reply my message. I think he busy but HE STILL CAN POST THING AT HIS ACADEMY. I am gonna blow = ="
IMO if they take too long they should be DQed for not showing up. What are they thinking, that we are not worth their time? Is this war even moving on or is it standing still? Jhonboi opponent, Myst, from NDA did not join the hamachi, WHERE DID HE GO ? 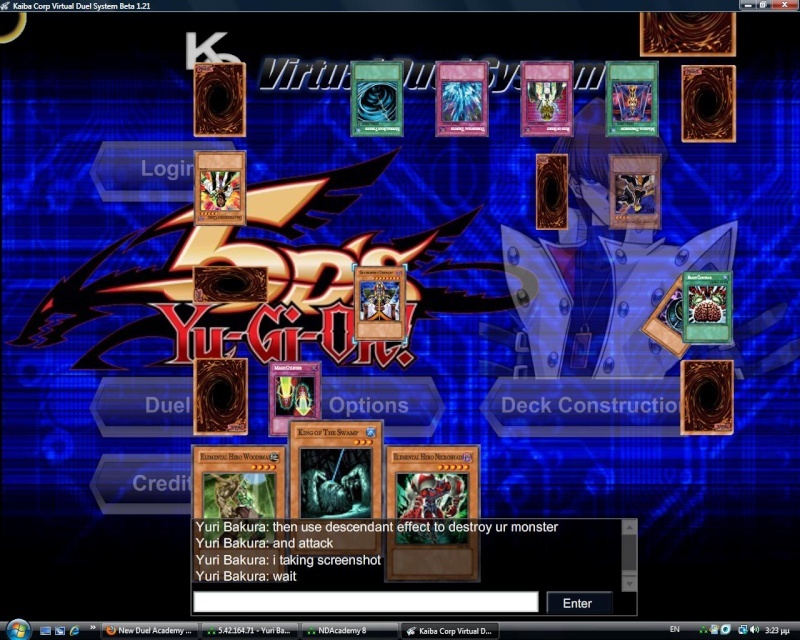 - I got Gravekeeper Visionary and he got a face down trap card and a monster. - I use rite spirit to special summon descendant. - Use decendant effect destroy his monster face down card, that monster would be ehero woodman, slimy thing. Did he accept the defeat? i guess he is .. because I dunno what he answer actually ..